I’ve had so many emails about this machine since I last mentioned it on my blog…so I thought I’d let you know how we were getting along! The full review/mashup of the Juki TL-2010Q and my Bernina Aurora 440 can be found here. I’ve actually been using my Bernina more than the Juki, but it all depends on what I’m sewing. I was sewing strip sets together this week and the Bernina was just too slow for me. So I pulled out the Juki and whipped the strip sets out in no time. Love the speed of this machine and it’s still very quiet! Except the walking foot…it’s very loud and clanky! My only problem so far has been with the Compensating Presser Foot (basically a regular foot with a guide on the side that only allows you to sew a 1/4″ seam…pretty handy for piecing). It sits too far to the right when in place, so the needle rubs the foot edge and it’s not a 1/4″ seam. Juki is sending me a new foot…but I’m not convinced the foot is the problem. Crossing fingers! I broke out the WIP’s today…forcing myself to work on a block every few days until they are done! 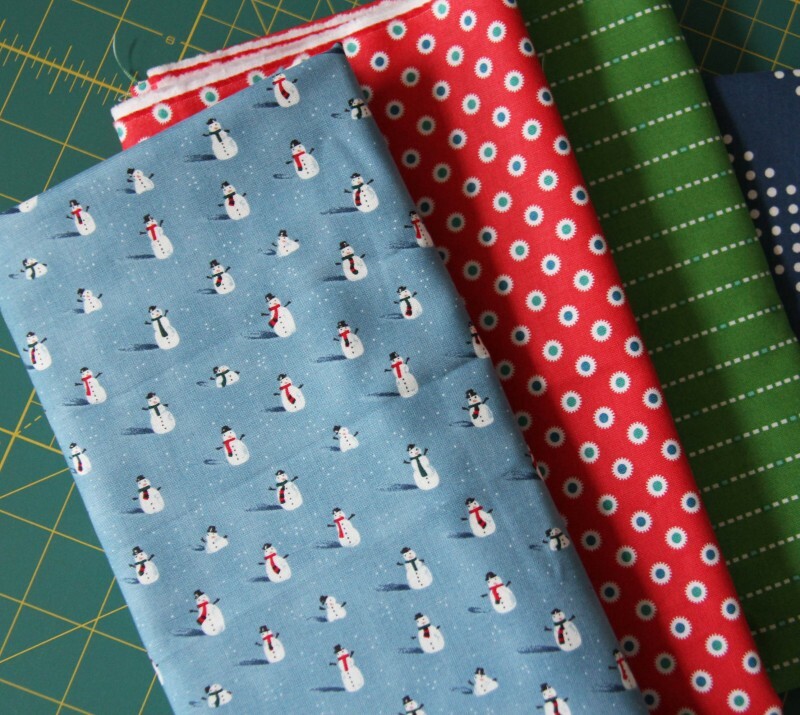 This snowman fabric by Dear Stella is my favorite Christmas of the year. It pairs so nicely with the reds and greens of Hazel too! Even though things look pretty much the same on the blog, I made the switch to WordPress this summer. 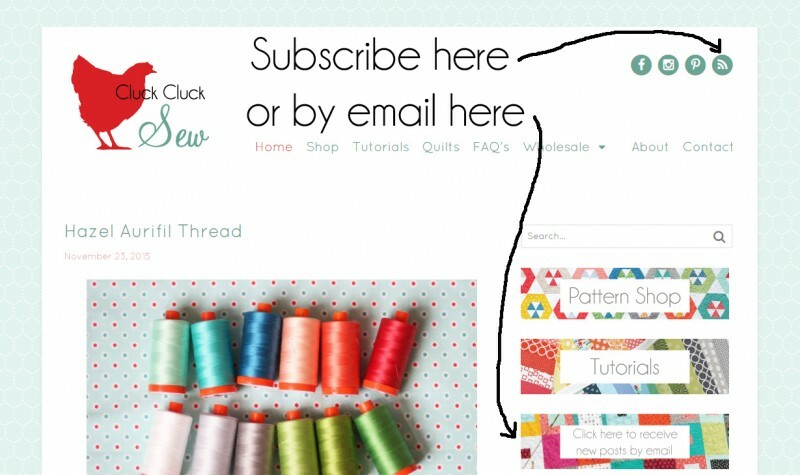 Most blog subscriptions should have moved over automatically, but if you aren’t receiving new posts, you may need to re-add the blog to get the newest version. When I bought my 2010Q I noticed right away that the alignment of the needle and presser feet is spaced just a smidge to the left of the feet. Even so, I can’t use that to get a good 1/4″. Also I agree with you about the walking foot. Every time I go upstairs to sew with it, my husband reminds me how loud it is downstairs! I wish Juki would have thought to include a guide for evenly spaced quilting lines. All that said, I’m still happy with my Juki. Oh I hear you on the guide bar thing….even though I hardly ever use the walking foot it would still be nice! I too have a Bernina and the same Juki as you. I love the free motion quliting on the Juki (main reason i bought it) but the walking foot?? I am ready to through it away. Took it back to place I bought it and they said they don’t work in the feet?? whatever that means. I go back to the Bernina for walking foot work.. I don’t like the Bernina for free motion quilting,Nothing I have tried fixes the bad tension on the back. Hi, I just tried to buy 3 patterns in your shop, but the GRATEFUL coupon code didn’t work. There was no expiry date on the patterns on sale post. 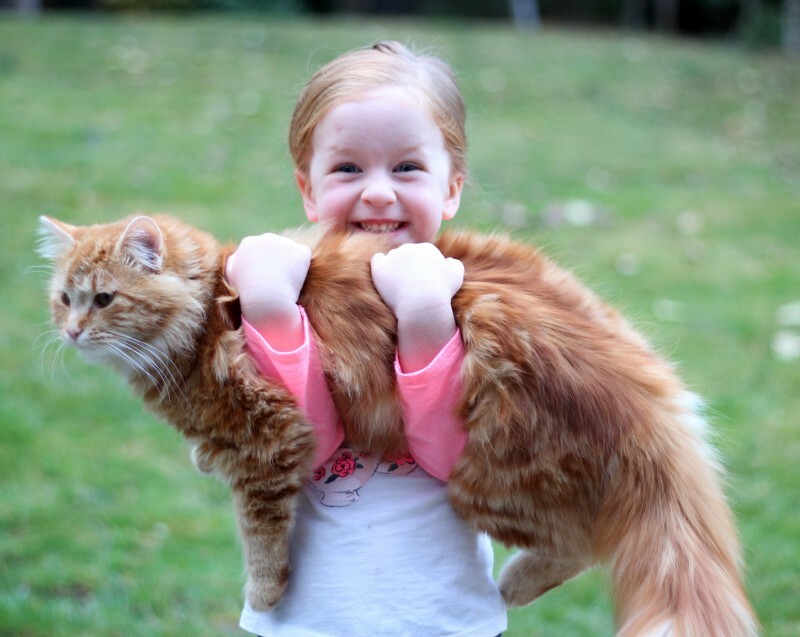 Sophie and Wilson….just wonderful! Glad they are both happy. How can we not smile too? I also have a Juki and I think the compensating foot is slightly bigger than 1/4″… I ordered a large variety of different sized compensating feet that were supposed to fit the Juki but they weren’t quite right so they sit in a box…. But I still love the machine! Alison, I had the same problem getting a good quarter inch seam with that compensating foot. I finally switched to the plain little two toe-ed foot that came with the machine, and if you guide your fabric along the right outer edge it sews a perfect scant quarter inch seam. Hope that helps! I love my Juki! My little two toe-ed foot makes an exact 3/16″ seam allowance…I tried piecing some blocks with it and things just weren’t fitting…makes me nuts! I received a new compensating foot yesterday and it does have a perfect 1/4″…not a scant 1/4″, but the same allowance as my Bernina I think. We’ll see! 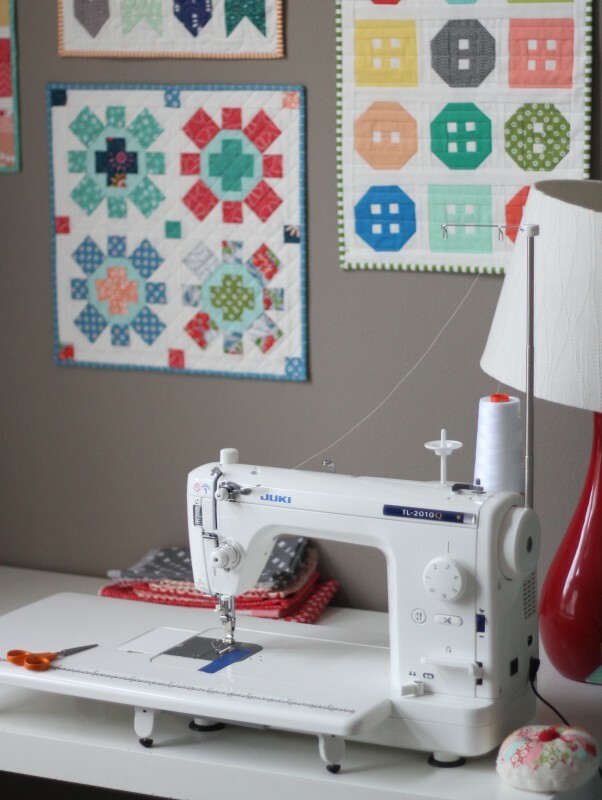 Interesting reading about the machine, I have a bernina but small throat on it and struggle to quilt, though it was me but maybe it is the machine, also have an old new home so must try quilting on that. Would love a machine with a wider throat but that is just a dream! I have not got your latest posts till now! What a beauty Wilson is and Sophie too of coiurse. Thank you for your comments. Two years ago my husband bought me a Sapphire 835. Cost was a factor. But going thru blogs I saw how great Juki was in free motion so I always wondered if I got the wrong machine. But after reading your blog my misgivings disappeared. I only have that one machine to do both. ohhhh Sophie is so-o-o lucky to have the same hair colour as Wilson, what a team!!! 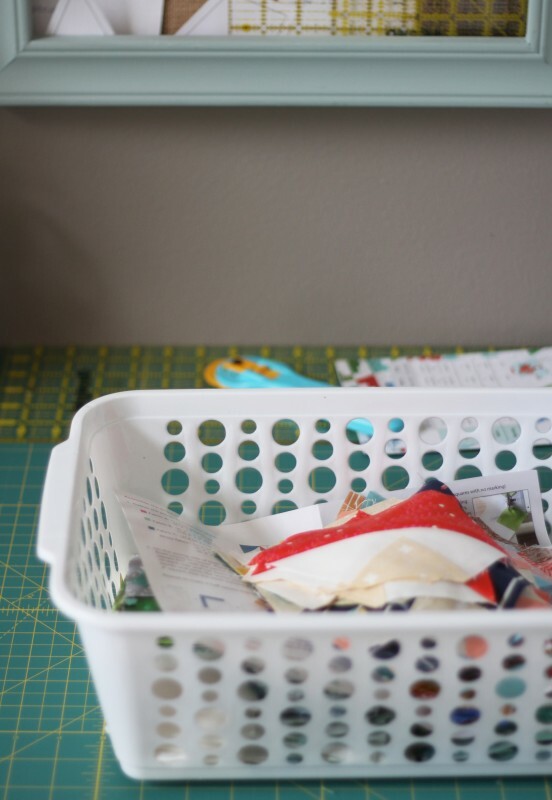 i too have a a juki – and LOVE the speed – as well as a janome, and although the janome is great for sewing certain things, the juki is my “go-to” girl. she whirls through those seams like mad!! I had a hard time deciding between the Juki or Janome! Glad you love them both! Thank you for the link Marie!!! I’m going to try it!! I use a Janome 1/4″ foot with the guide bar that fits the Juki 2010. I also found that my compensating foot sews a seam that is slightly more than 1/4″. I feel like I’m constantly tweaking different things to find just the right seam allowance. Right now I’m using the little two-toed foot and have some pieces of masking tape on the machine to help guide. And please PLEASE Juki people, work on your walking foot. And add a stitching guide bar!! I don’t know if this helps but the compensating foot is generally used more for uneven fabrics such as hems on pants or curtains. The foot compensates for the difference in the level of fabrics. When used for that purpose, it works very well. I use a Janome scant quarter inch foot for my juki 2010Q and it is spot on with accuracy when looking for the scant 1/4″. The other side of the foot sews a great 1/8″ seam allowance. I use my Juki strictly for piecing my quilts because I think it’s hard to beat piecing with a single hole straight stitch machine. I do love my Juki. I just came across this post because I’m having the exact same issue with the compensating foot on my brand new Juki 2010. How did you get a replacement — did you just contact them via their website? Thanks!! Saroy, I don’t use this foot, but can you tell me the number on the side. I have an older machine so 2 feet and trying to figure out which came with the 2010Q. Thanks. I had the same issue piecing with the quarter inch foot on my Babylock BL500A. I also purchased the Janome piecing foot for my Babylock and it works great! Such a relief!! Sometimes, I use a stack of rectangular sticky notes on the bed of the machine when sewing long strips together, such as LOF borders onto the quilt top just for that extra bit of insurance. I am thinking of trading my Juki 2010 for the Juki F600, I love the compensating foot I get a perfect 1/4″ stitch, but miss not having zigzag and button hole stitches. What is your thoughts? I’m super late on this, but I had the same walking foot problem and my local dealer gave me two tiny washers to put on the screw that holds your needle in. This is where that forked arm of the walking foot rests. It makes all the difference! The washers are almost 3/8″ diameter.